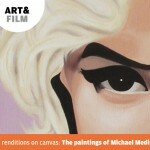 As box office tills get set to ring heartily once more with the second installment of Stieg Larsson’s Millenium Trilogy returning to cinemas this weekend, we asked Charlie Loft from AllCity Media – creators of the trilogy’s striking poster and marketing campaign – to tell us a bit about producing artwork for such a popular book series now so entrenched in the public psyche. 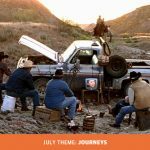 The Millennium Trilogy was a great brief from Momentum Pictures – to come up with the branding for such a well loved story is something that we could really sink our teeth into. 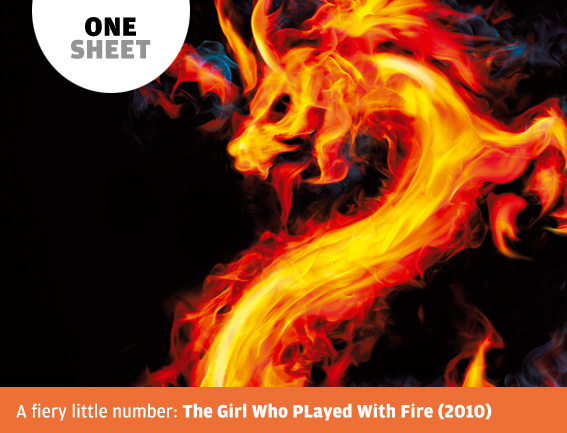 We needed to create a motif that could adapt and become the identifier for the trilogy as well as be able to give ‘The Girl’ herself the main shout as this was the first time she was going to be revealed. This was a particular challenge as Noomi Rapace (The Girl) was relatively unknown in the UK and yet we needed her to take centre stage. The Dragon motif was designed to act as a distraction or decoy to allow us to put an unknown face behind it, this in turn enabled us to create the overall feeling of intrigue and mystery. 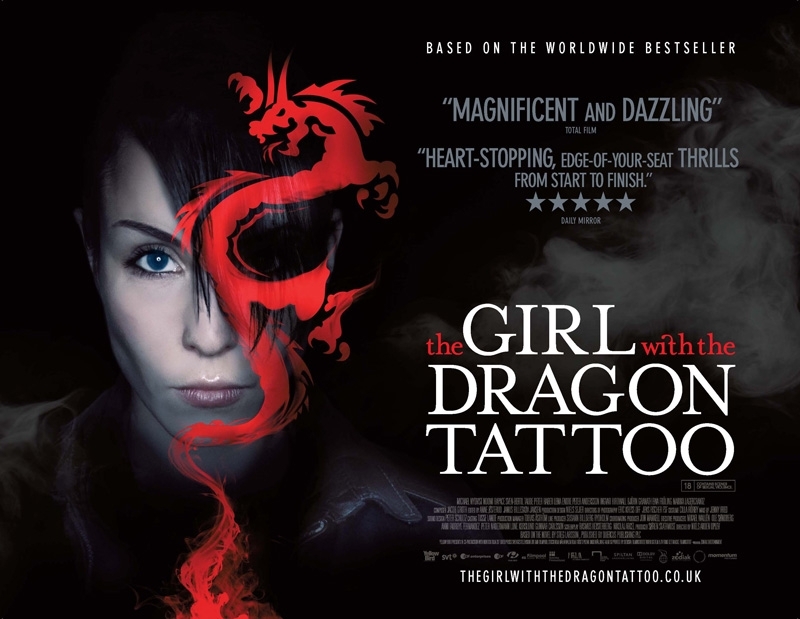 The Girl is there but she is slightly hidden by her own Dragon Tattoo (this is the reason for the swirling ink at the base of the dragons tail) meaning that we could add a level of depth to the poster and subsequent online and advertising campaigns. Another thing to note with the branding was the need for a strong and easily identifiable title treatment. Dealing with such long titles is never easy so we decided to stack the copy so that the main words from each title were visible from a distance, e.g. 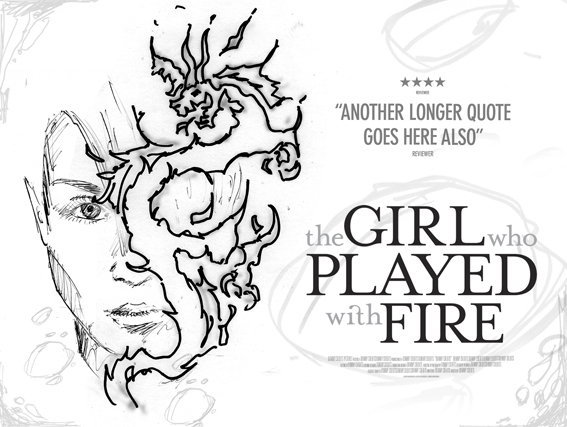 ‘Girl’ ‘Dragon’ ‘Tattoo’ – ‘Girl’ ‘Played’ ‘Fire’ etc. 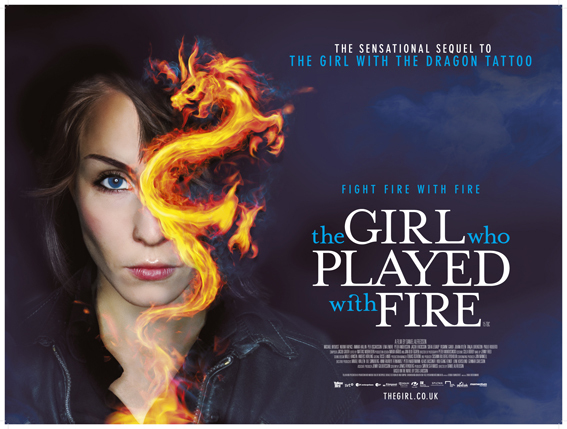 The branding of the trilogy continues with what we have affectionately called ‘The Flaming Dragon’ for The Girl Who Played With Fire. 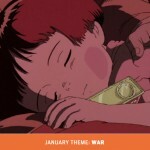 Again the motif acts as a distraction and gives extra impact and relevance to the title. We are currently developing The Girl Who Kicked The Hornets Nest which will be in cinemas this November. Each one of the dragon motifs has been lovingly crafted by one of our collaborators, Sean Freeman, who under our Art Direction has helped create some beautiful work. 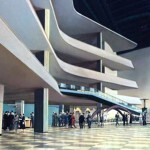 This is another good example of using someones purest skill and then making it work for film.